.WE ARE YOUR HUNTING AND OUTDOOR RECREATION PLACE. AT THE KNIVESOFMAINE OUTDOORS WE HAVE A VARIETY OF GREAT HUNTING KNIVES AND OUTDOOR GEAR THAT YOU CAN ORDER . WE HAVE EVERYTHING YOU NEED TO OUTFIT YOUR PASSION FOR HUNTING. 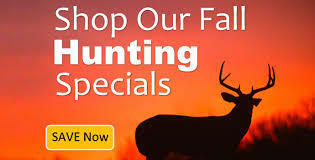 WE HAVE THE LOWEST PRICES ON ALL OUR HUNTING KNIVES AND HUNTING GEAR THAT WE HAVE. AT THE KNIVESOFMAINE OUTDOORS WE HAVE KNIVES FOR HUNTING , FISHING AND CAMPING THAT ARE REAL GOOD QUALITY AND MADE TO LAST. IF YOUR A HUNTER WHO ENJOYS THE OUTDOORS THEN WE HAVE WHAT YOUR LOOKING FOR. YOUR SATISFACTION IS OUR GUARANTEE. WE SHIP ANYWHERE IN THE U.S AND CANADA . WE ALSO SHIP INTERNATIONAL. AT KNIVESOFMAINE WE HAVE A VARIETY OF NEW AFFORDABLE ATVS , DIRT BIKES , UTVS FOR EVERYONE WHO ENJOYS THE OUTDOORS. ALL VEHICLES COME WITH FAST FREE DELIVERY . ALL DELIVERYS TAKE AT LEAST 7 DAYS TO BE DELIVERD TO YOUR DOOR. THEY ALL COME WITH 3 MONTH WARRANTY'S AND 1 YEAR MOTOR WARRANTY'S. WE HAVE ALL DIFFERENT SIZES TO FIT EVERYONES NEEDS. ALL ATVS , UTVS, DIRT BIKES , SCOOTERS ARE 90% ASSEMBLED. ALL VEHICLES ARE RUN AND TESTED BEFORE BEING SHIPPED . THE PRICE YOU SEE IS ALL YOU PAY. ALL VEHICLES THAT ARE ORDERED ARE SHIPPED OUT THE NEXT BUSINESS DAY. ADULT AND YOUTH APOLLO BLAZER 125 ATV 4 STROKE , ELECTRIC START ,FRONT AND REAR DISC BRAKES , 7'' FRONT TIRES 7'' REAR TIRES , MAX WEIGHT 400 LBS , TOP SPEED 55 MPH. COMES IN RED AND WITH 3 MONTH WARRANTY AND 1 TEAR MOTOR WARRANTY FREE DELIVERY. YOUTH OR TEEN - TAO DIRT BIKE 110 , WITH 4 STROKE MOTOR , FRONT AND REAR BRAKES , FRONT AND REAR SHOCKS , SEMI AUTOMATIC TRANSMISSION , 16'' FRONT TIRES , 14'' REAR TIRES , COMES IN 5 COLORS BLACK , RED , BLUE , GREEN . COMES WITH 3 MONTH WARRANTY. 1 YEAR MOTOR WARRANTY. ( FREE DELIVERY ).